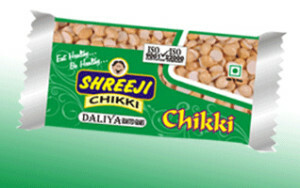 Though India uses Roasted Gram (Daliya/Chana) in a different manner in their daily uses, Roasted Gram (Daliya) Chikki is a unique and new product for market. 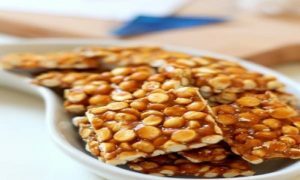 Daliya, Jaggery, Sugar, Liquid Glucose, Contains Added Flavors. outer corrugated box with color indications.